The authors from the class of 1994 are Philippe Wamba, Ken Baker and Sasha Abramsky. Philippe Wamba explored his unusual family background -- African and American, with both terms of equal weight -- in his seminar project which led to his book, Kinship: A Family's Journey in Africa and America (Dutton, 1999). His father, Ernest Wamba dia Wamba, was born in 1942 in what was then known as the Belgian Congo (now the Democratic Republic of the Congo). Wamba dia Wamba came to the United States in the 1960s after earning a scholarship to study at Western Michigan University in Kalamazoo, where he met and married Philippe’s mother, Elaine Brown, who was an African American from Detroit. 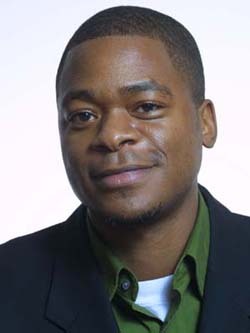 Philippe was born on June 3, 1971, in Pomona, California, and spent his first years in California and Massachusetts before his father moved the family to Dar es Salaam, Tanzania, in 1980 after accepting a position as professor of history at the University of Dar es Salaam. A year later, Wamba dia Wamba was arrested on a visit to his home village in Zaire, as the Democratic Republic of the Congo was then known. Branded as a subversive by the government of Mobutu Sese Seko, he spent a year in prison. Much as his father had done, Philippe returned to the United States in 1989 in order to attend college. He was disturbed by the racism that was still widespread in the land of his birth; he was more disturbed by African Americans’ ignorance of Africa itself. He earned a bachelors degree from Harvard in 1993 and a master’s degree in journalism from Columbia a year later. During that his year at Columbia, he enrolled in Samuel G. Freedman’s book seminar and began aggressively exploring the issues that unite and divide native Africans from those of the diaspora. Kinship won the 2000 Myers Outstanding Award from the Myers Centre for the Study of Human Rights and Bigotry, and was a finalist for the Pen/Martha Albrand Award for the Art of the Memoir. In 1999, Philippe became editor-in-chief of Africana.com, where he remained until April 2002 when he returned to Africa to research what was to be his second book, on African youth in the new century. He died on September 11, 2002, in an auto accident in Kenya on the road from Nairobi to Mombassa.